I just recently upgraded to 2015 Label Software Pro, and now I cannot print a range of labels. The label sheet is set up properly. I am not sure if this is a bug. Any help would be great. I use this software for production label printing in Manufacturing and now I am having to print 1 label at a time. What occurs when you attempt to print a range of labels? I received your .ida file but without your data source, I could not connect it. 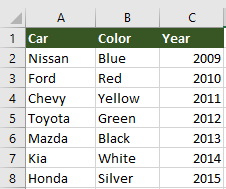 I decided to create a data source (in Excel) and link it to my own file instead. I have run a few tests with different data sets but I am not able to re-create the issue. 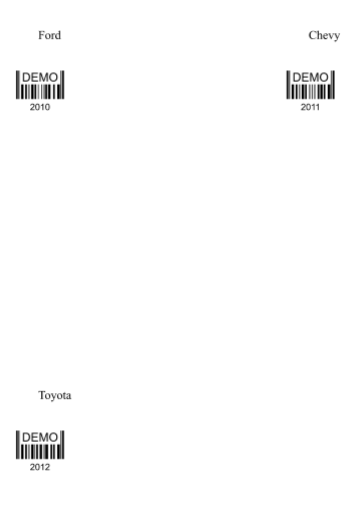 Can you provide more information about what happens when you attempt to print the labels? I recommend creating a new .ida file with your values either as a test or for production if the solution does not work. Ben I recommend creating a new .ida file with your values either as a test or for production. AmandaJ	 In the Print Screen, it won't let me increase the "TO LABEL" field #. It always wants to be 1. 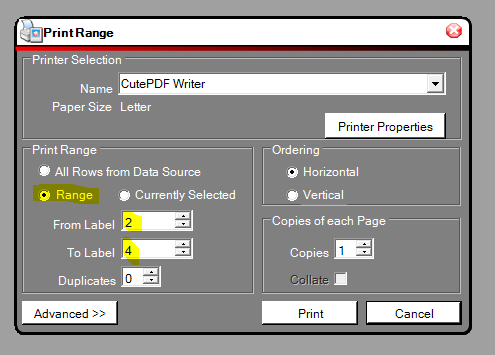 I can change the "from Label" field, but that doesn't help when printing a range.